That whole hospital fight is great. Oh, what about the henchman dogpile in When Strikes Mutilor? "Attack! All of you!" And they all just run and pile onto the poor SWAT Kats with T-Bone's leg sticking out, twitching. Mutilor clearly doesn't stand for that "attack the heroes one at a time even though you've got twenty guys" thing. He's got numbers and he uses 'em. I like T-Bone's derisive "~good night my queen~" in Bride of the Pastmaster, myself. And Charlie Adler's performance overall in The Dark Side of the SWAT Kats has always tickled me. He must have been having a good day, or at least a fun studio session that day. And that "Goodnight, my Queen" sounded just like Murray, too (as it should for obvious reasons), proving T-Bone can do a way better impersonation of him than he did in The Giant Bacteria. I got another one, in The Dark Side of the Swat Kats when the guys are joking around with Feral. Just some lines and exchanges that make me giggle. "You can open your eyes, now, Mayor. It's all over." "Ech! It's all over my street!" "Lights against you all the way, Steel?" "I'm sorry, sir, we had trouble getting organized..."
"Mister, you don't know what trouble is. But I'm going to introduce you to some!" "So much for the SWAT Kats. Now, where was I? Oh, yes! Doomsday." "It's jussst you and me now, sssweetness. Feral is helpless, and the SWAT Kats have run away in their ssstupid jet!" "Nobody can stand up to that jet of theirs!" "Yeeeees. Their precious jet. 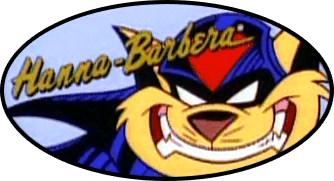 Without it, the SWAT Kats are just two jerks in flight suits." "Hey, whoa, I'm the good guy, remember?" "Those are the bad guys!" "I suppose you’re responsible for all–-"
"Hey, don’t try to pin this one on us!" "Actually, I was thinking about thanking you, but now I’ve changed my mind." "After all, Mayor Manx, it was your grant to the lab that paid for this research." "Eh, so it was. Then I guess you'll be calling it the Manx Formula, then, eh, Zyme?" "Uh, well, no, it's called Viper Mutagen 368."